Happy Saint Patrick's Day! Today we are celebrating by sharing wonderful projects completed in green! 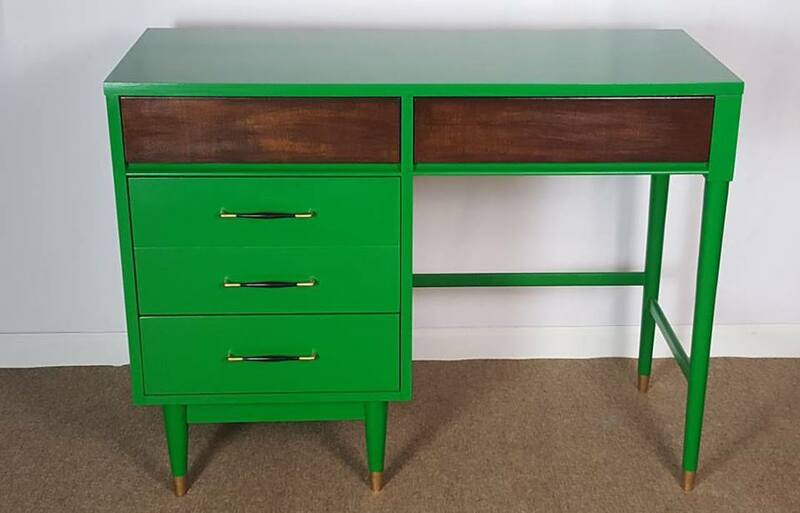 This lovely desk was completed by Unique by Ruth using GF Emerald Milk Paint. Don't forget to check out the Design Center's NEW Color Mixing Lab at http://bit.ly/2kgYOK4. There are TONS of custom colors using GF Milk Paints that might inspire your next project!